The picture of the students has won major love online with many praising their efforts. NEW DELHI: If you're looking for definitive proof of girl power, this picture going viral is pretty much all you need see. 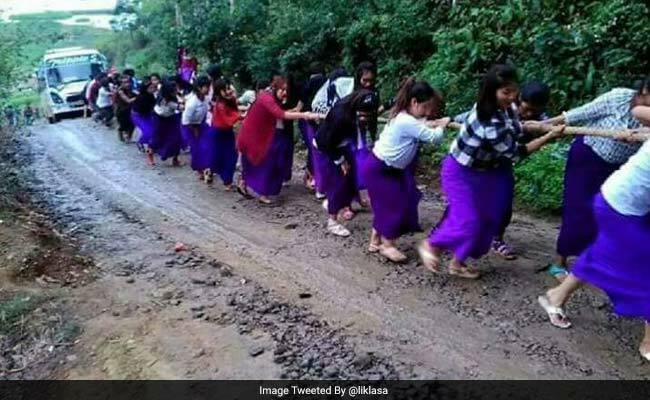 A photo posted by Twitter user Lawai BemBem shows a group of schoolgirls working together to pull a bus out of muddy terrain. The image is currently winning Twitter and has collected over 3,600 'likes' and more than 3,200 retweets within two days. "Manipuri girls went for a study tour to Loktak Lake. Bus gets stuck in mud," Twitter user Lawai BemBem says in his tweet posted on April 26. And while we can't confirm the veracity of the picture or that it was in fact clicked in Manipur, it makes for an incredible click. The picture of the girls has won major love online with many praising the students' efforts. "Womanipur," says one Twitter user about the students in the picture. "Girl power," says another. "Salutations to these capable girls," says one commenter on the tweet. 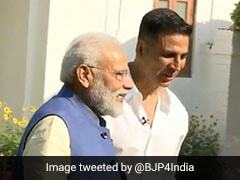 "Proof that India has a 1000 Mary Koms," says another. A few others questioned the condition of the road given it links to a popular tourist destination. "Isn't Lohtak Lake a major tourist destination with the grassy islands? How can the government not build a proper road?" wonders one commenter. Tell us what you think of the picture in the comments section below.